Attending the ACCA Expo in Phoenix, AZ? Say hello to the DUCTZ Team! If you are going to be at the ACCA Expo as a vendor or guest, be sure to say hi to the DUCTZ Arizona Team! Nathan and Scott will be walking around and searching for the next great service partner. Could it be you? Find them and get one of their business cards and give them one of yours. We are always looking for the best companies to partner with and would love to talk to you! Clean air could be just a phone call away for you and your customers! Thank you for your Mesa air duct cleaning referral Dial One Mears AC! A big Friday thank you goes to Troy and the Dial One Mears AC team – thank you for your air duct cleaning referral in Mesa, AZ. We appreciate the trust and customer referral! If you would like to find out what the folks at Dial One Mears know about DUCTZ please give us a call at 623-466-8625 and ask for Nathan – we are the REAL DEAL and you will appreciate the DUCTZ difference! Why inspect and clean your air ducts in Phoenix and Tucson, AZ? Air systems in Arizona will become laden with particulates of dust and pollen over time. As these systems recirculate these particulates they may block correct function of the interior components such as dampers, coils, blower motors, etc. Eventually they can cause system failure if not inspected and cleaned (think of the effect of clogged arteries in the human body…) What can be done to reduce the chance of air system failure in the home or business? Call DUCTZ! We are a licensed indoor air quality that focuses on air duct and HVAC restorations. 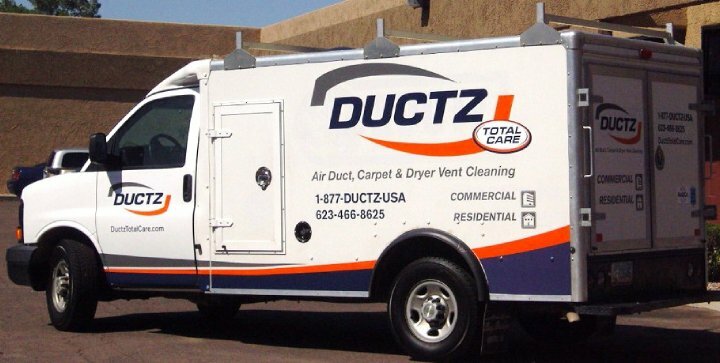 Read here http://www.ductz.com/hvaccleanliness.html for more info and call Nathan at 623-466-8625 to schedule your inspection appointment! Need West Valley air duct cleaning? Wolff refers DUCTZ of North Phoenix! Another March thank you goes to Wolff Mechanical for their customer referral – thanks for your business and continued trust! Would you like to know why Wolff uses DUCTZ for all of their customer’s duct cleaning and indoor air quality solutions? The secret is simple – the other companies can’t beat our value or the quality of our service! Call us today at 623-466-8625 and we can explain exactly what makes us different and the best value in the Phoenix and Tucson Metro areas! Thanks for the East Valley duct cleaning referral, Absolute Value AZ! First March thank you goes to Absolute Zero for their customer referral – Thanks for your business and continued trust! There is a reason Absolute Zero uses DUCTZ for all of their customer’s duct cleaning and indoor air quality solutions. Call us today at 623-466-8625 and ask for Nathan – he can explain exactly what makes us different and the best value in the Phoenix and Tucson Metro areas! Spring has sprung in Glendale, Arizona! How clean is the air that you are breathing? Call us today at 623-466-8625 and ask for Nathan. He can help you understand all of the services we offer that can help you clean your air! Why wait? Call us today! Visit http://www.ductz.com/phoenix-deervalley for more info today! You deserve the best Arizona!